Certificate Instead of a Diploma – Is This OK? My son is in his senior year and has ADHD. We had an IEP. If he cannot pass the competency test the school will give him a certificate, not a diploma. He will continue to take the tests, but time is running out for him. Is there anything I can do to help him? If your son has an IEP, he is eligible for special education until he graduates from high school with a *regular high school diploma* or ages out at age 22. Do not accept a certificate. A certificate is meaningless and will not help him get a job, get further education or be self sufficient and independent. You need to write a letter to the school to request an IEP meeting. In your letter, describe the problem. Ask the school to provide more intensive services so he has the knowledge and skills needed to pass the competency tests. Has the school provided a good transition plan? What are the goals? What is the school doing to ensure that your child attains these goals? If a plan is not already in place, you may be able to include competency test preparation as part of the transition plan. This is an important time for your son, and the school should be helping him make the transition from high school to life after school. 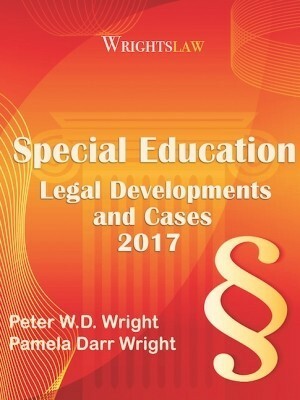 This entry was posted in Advocacy, FAPE, IDEA 2004, Special Ed Law, Transition and tagged aging out, certificate, competency tests, graduation, regular diploma, Transition by Wrightslaw. Bookmark the permalink. A certificate is basically a reciept that the school got paid to watch your kid for 4 years. I’m sure the scores for these kids don’t even reflect as a negative on the school. So they push these kids along…and they don’t ruin their great school scores. The trasition stuff is basically getting them ready for a job….not a career. So these poor kids will never trully make it …..but they will buy stuff to help the economy. They wont be able to afford health care, cost of living, propper living conditions….so they are going to be the people that everyone complains about. And the schools are blame free. I got a certificate and it is worthless.Having a certificate is as bad as being a High school drop out.I left High school reading at 3rd grade level and I was bullied and had no friends or dates.Even the teachers bullied me. My son is a freshman in high school and getting ready to start 10th grade next year. He is not clearing one of the courses and so the school team is trying to push us into OCS while discussing for the next year in the IEP meeting. We are in NC and although OCS will get regular diploma, it is not college bound. He will have to take remedial courses and I am not sure how that may work out for him with college goals in mind. Also he is already 17 and the school is trying to play the “time is running out for him” game. How can I make sure he gets what he needs in the regular course of study given that they will not allow for modifications in the regular track? If I do choose to have him go into OCS, how is that going to impact him with his college dreams? Hi,I am 24 years old.I was homeschool then went prviate school at 15 to 16 years old then public school for few months then left 16 to 18 I was homeschool.At age of 19 years old went school helps you graduted even if you are older,I was there from 19 to 21 left and went back 23 and now 24 years old,School finally is allow me graduted this year I have passes of my classes never fail none of them.School throw away my old IEPS in begning of years I start this school I found out this year.They told me I will getting a A Certificate of Completion in May of 2018 because I was in special ed due my disabily.Can a school do this to me even though I age out of it? What else can I do? Can a school throw IEPS away?I am from New Mexico. My son is a freshman this year he has ADHD he also has an IEP they are saying because of the diploma track that he is not allowed to use his accommodations on his IP that states when he is struggling he has to do half the work and get full credit. An IEP must be followed you are correct Marcus. However, accommodations are allowed but no modifications are allowed for a student on a diploma track. I thank you for that correction. Would you happen to know why modifications are not allowed for a student on a diploma track? 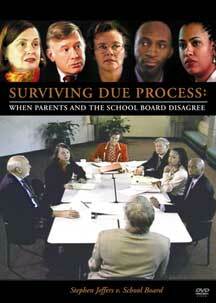 Marcus, That is a decision made by the state legislature or education agency, so it varies from state to state. The OP said he can do half the work and receive full credit. That does not sound like a modification to me. not even have a high school diploma! 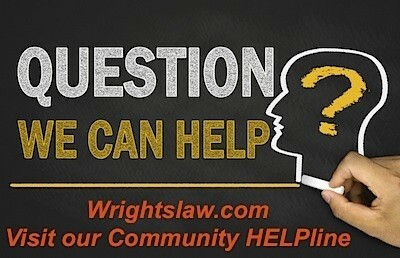 Can someone with a Certificate of Completion from California be eligible for Title IV funding (Financial Aid)? Thanks. I will set up an IEP meeting. He is definitely not getting the “attention” or “assistance” he needs. My son will be senior this year and has a diagnosis of autistic disorder. We have a letter from his neurologist stating he doesn’t expect him to reach full adult living. The school said he won’t graduate unless he can pass algebra and geometry since they are required in the state of Florida. He will never use either of those in his future. What can be done to achieve graduation and a diploma with just Liberal Arts Math (basic math classes)? What is the criteria for a special education student being awarded an IEP Diploma? Hi, Chuck, your question seems unclear. 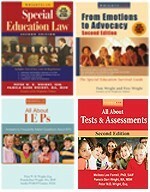 There is a Certificate of Completion that is available to students on an IEP. There is no difference between a diploma a student on an IEP receives and a mainstream student’s diploma. 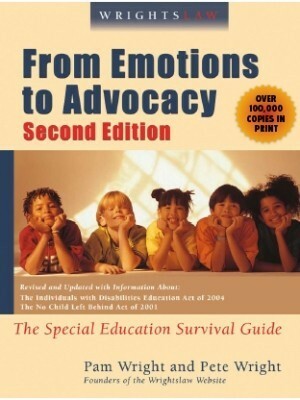 Basically, the criteria are that the parents choose to forego the diploma in order to receive special education services until the age of 22 often in the form of Adult Transition Programs geared toward functional skills. That might not be your answer, sorry! B.Fox, Each state legislature, & education agency set the graduation criteria for that state. So there is a lot of variation between states. TX for example does not have a Certificate of Completion. All students receive the same diploma. Their transcript reflects the courses they took. The thread is quite old but relevant. We are from Massachusetts. My child is placed in a private school (out of district placement) and graduated today. He DID meet the state Competency Determination (Passed the state test — MCAS) with an EPP. For those from outside Mass, an EPP is a plan which is required to be completed if the student scores above Warning Ranges but below Proficient range. In last 2 years, the school never said he is not per EPP or there is any issue. To my surprise, today he was awarded a Certificate of Completion! I have sent a mail to school but will need to wait till Monday to know what they say. Meanwhile, if they do not issue a diploma, what steps can I take? My feeling is I can take the school to court for fraud and negligence. “the term regular high school diploma does not include an alternative degree that is not fully aligned with the State’s academic standards, such as a certificate or a general educational development credential (GED). 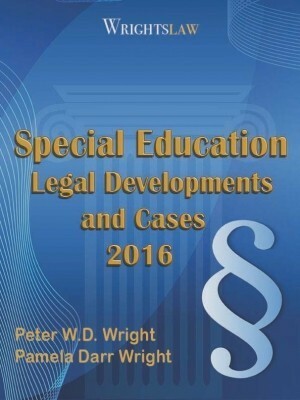 (34 CFR §300.102), Wrightslaw: Special Education Law, page 204. When you meet with school staff, bring a copy of the law book if you have it. Makes a good impression. If you don’t get a satisfactory response, I suggest you consult with an attorney who represents kids re: special ed issues for help in dealing with this problem. A consult is generally inexpensive and should give you a plan. Chuck, what are you talking about? Any person can try for a GED!!! That is true. She was asking about a diploma. In TX a diploma and a GED are different. The school in Ga that my child attends has promised me from the beginning that he/she will get a regular diploma. Today some lady with a child that has an IEP told me that they told her, her son would get a certificate not a diploma. She/He graduates in May how can i make sure the school is being honest ? She/He was in the IEP for ADHD I am afraid if she/he finds out she/he will be devastated. We are in California ,My son is also in the 12 grade was told the same thing that he can get a certificate of completion, and go to college to get something equal to a diploma ,I’m not for this and my son isn’t either. To me it’s like leaving school and dropping out. Shame on them . Kid’s with IEP shouldn’t be treated this way, It’s discrimination if you ask me !!! We are gonna fight this till the end with some satisfaction. Yes, you have the right to request an IEP to talk about transition planning. You need to tell the school district that you want your son to earn a diploma not a certificate. 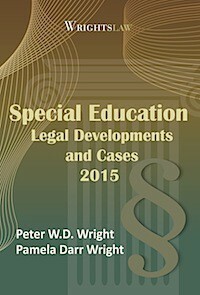 The school district has to give your son special education services to help him earn a diploma or until he is age 22. They should have discussed a transition plan when he turned 16. We are in Northern CA. Our son has ID + ASD. We aren’t sure he is cognitively able to complete the requirements for a high school diploma due to his severe cognitive delay. What options are there for him? He is currently a freshman on the certificate tract. He wants to go to college and become a teacher. We want to encourage his career goals, but are truly unsure as to what options are available to him. If your son wants to go to college and become a teacher, make sure he is diploma track, not certificate track. Request an IEP to talk to about your concerns. The school district needs to have an inclusion specialist work with the general education teachers to modify the curriculum to help your son make progress to meet the graduation requirements to receive a high school diploma. You cannot modify the curriculum if he is not on a certificate track. I have a diploma track, but not only am I autistic, I have Learning Disability, Visual Impairment, Bipolar Disorder (why I get extended time), and Spina Bifida (I had Adaptive Gym in middle school). I am of normal cognition. I will get a diploma in 2017. I have a mild case of Spina Bifida and mine isn’t bad enough for medication. I am now 22 years old but when i was in high school I was in the O.C.S program. When i was seventeen i dropped out do to that fact that the certificate they give you at the end of the year. before i dropped out i was re-tested and found out that i could join the core study’s but i would have to restart high school. but because of O.C.S i have to say it has made my life harder. i am now living in upstate NY and not having a diploma has made it very hard not to land a job. Your comments demonstrate the need for parents to be educated on special education rights and responsibilities as well as the students involved. Transition planning begins early and should include goals towards college, vocational, etc. T.B., continue to lobby for yourself and don’t give up. There are many resources via the state that can help you–seek them out. Continue to advocate for your self. You do have life experiences and more to come as you do have choices. 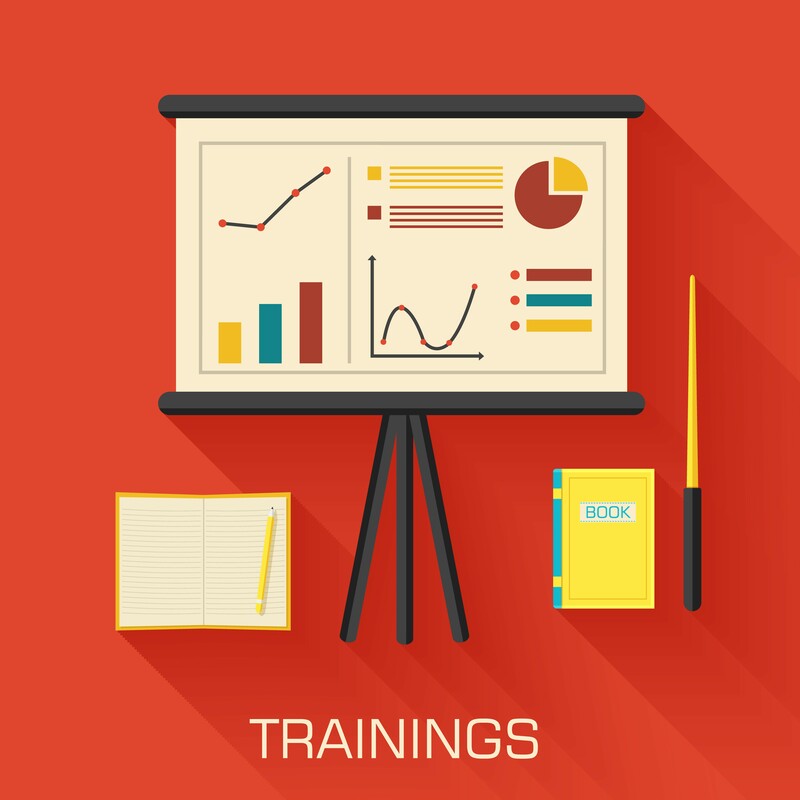 State agencies can help you look at vocational choices, assessments, etc. Community colleges have more open doors than you think — advocate for yourself…connect with statewide resources. Don’t give up. I went to school in Georgia graduated with a special Ed Diploma. It’s useless! Don’t know how you say skip the certificate and go for the diploma when even with the diploma they put special education on it. It’s humiliating for me when I apply for jobs and get ask for me to explain to the interviewer what it this . Then I’ll get told I’ll hear back a call in few days never to hear anything! I feel ashamed of being in special ed just riding the small buses was bad in itself with bus monitors on them. I have no life experiences work experiences I get frustrated and angry. Only place I’ve been able to be accepted for college is through online university. Which I don’t even know since its online and not physical campus if that’s good enough! 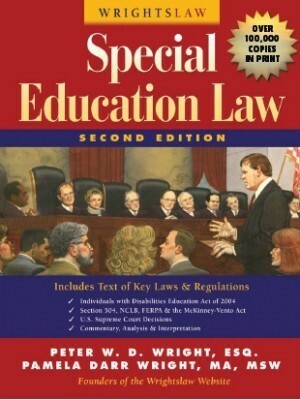 In Georgia, students who are receive special education services receive a diploma but it says on it special education diploma…now colleges here are beginning to not accept a diploma if it says special education on it even though the child may have actually passed all required courses and competencies….I have an issue with this because it seems to be discriminatory in nature. That is unfair. I have a LD myself.I got a certificate instead of a Diploma and it has furthered handicap me from moving ahead in life,I was turned down for a job at age 28 for lack of a Diploma or GED even though I had previous work experience and a good letter of recommendation from a previous employer,That when I went back and got my GED and I don’t see how I did it with all the failure I had in school. How were you able to get your GED since you took the certification? My friend left with the Special Education certificate, but he said that they told him he cannot ever get a GED. I did’nt know that. I was told if you take the certificate that you can never get a GED. Mary – WE have the same thing in our schools however modifications can be made on the graduation tests and/or there are exemptions that can be made in certain cases. In our state a certificate does not count as a diploma and a child that gets one cannot qualify for college. I don’t agree with the certificate at all and if a parent is not knowledgable enough they may be lead to believe that the certificate is ok or all that a child can get. In Kentucky, you recieve only a certificate at graduation instead of a diploma if you are special needs; is this constitutional? When asked why; we are given the answer if they want a diploma, they have to do and pass the classes that the other students take. Our grandson is starting high school; he is very smart in most things but has autism. Can they do this or how can we change the law? Home school and get the same diploma. He will have no pressure of being around kids who do not respect him. Ask for more time for his assignments in his IEP to keep up with the demand of the regular curriculum. But more than that encourage him by letting him know you believe in him. I was recently informed of a new law in Michigan that states: Starting the school year of 2010-2011, any student who has an aide and/or resource room with not be eligible for a high school diploma, rather a certificate. I am hoping to gain so insight into this as I have a son going into 3rd grade with ASD and am set on him receiving his diploma – albeit years down the road. Any info would be helpful. Thanks in advance! But do not take my word, you need to do your research so that you know the facts. You may want to request, in writing, that the school provide an explanation of the policy. If there is one, you should request a copy of the written policy. I have had a due process filed against me because a student who is on certificate track and has met all of the prerequiste classes wants to remain in the non-public school for an additional year to become metro trained. He is is 19 years old. The attorney states that he can remain in the private placement until he is 22 years of age, and legally he can. I advised the MDT that he has met the four year program requirements, and will not be introducedd to new information/curriculum, My interpretation of the allowance of remaining in shcool until the age of 22 years old, was to give the student sufficient time to complete the program requirements. He has been selected for Project Search, a supported eimployment position where he rotates to myriad jobs for experience. Please advise if I was wrong. Sherry, It does not sound ok to me. 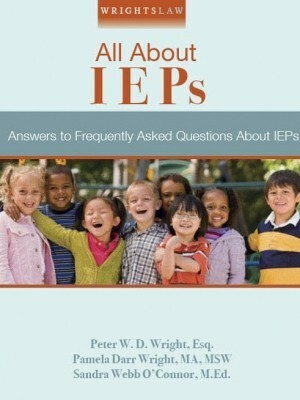 Not knowing your situation and if your child is on an IEP or not, the law clearly states that each child is supposed to be educated in the least restrictive environment (LRE). When my son was in 3rd grade he was put in a class that was below his skill base and the teacher had it in her mind that all the students would go to trade school ,etc giving the impression that none were good enough for anything else. She taught skills like washing hands, etc . We moved our son to another elementary school in the same district and got the school to pay for transportation via the IEP and he thrived at the new school. Ny son is in third grade. The teachers want to move him to a special class where he will only get a certificate when he graduates. I am against this. He is only in the third grade who knows how he will grow later down the line. Who knows if the laws will be the same. I am so confused. I want to do the best thing for him. He is struggling really bad in the regular class. I want him to be around all kinds of people, not just one type. My daughter is in an Occupational Course Study program in her highschool. She has to do an additional year due to being in Autistic curriculum her first year in the high school. What will she be able to do in the real world once high school is over? Her autism leads her to have a strong desire for the arts/graphic area. My child attends a private school at the public school’s expense due to ongoing denial of a FAPE. This is done through a third party. My child’s only IEP goal is that a public school guidance counselor assist with post graduation planning and inform us of scholarship opportunities offered to public school students that the private school may not be aware of. When we questioned why these services are not being provided, their attorney informed us that “It the responsibility of the private school to provide services on the IEP”. The attorney for the school that opted not to comply with IDEA/ADA laws, offered to “Address the private school not providing services” that are documented in the IEP as the being delivered by the public school. Minutes from the IEP meeting specify the public school counselor by name. Galen: Excellent suggestions – thank you. To parents and teachers: to avoid unexpected and/or unpleasant surprises, begin planning for your child’s / student’s transition early. Because this boy is a senior, he is likely to be demoralized and is at high risk for dropping out without a diploma or anything else. The purpose of IDEA is to prepare children with disabilities “for further education, employment, and independent living.” This statement needs to be your mission statement. The link to transition services is broken…anxiously awaiting your advice. Thanks. Jack – I just fixed the link to Transition Services. Many thanks for letting us know. 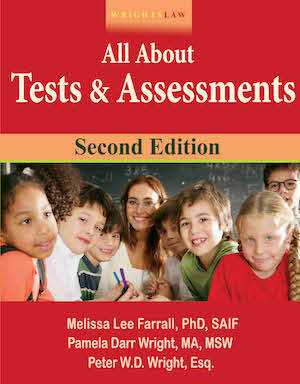 As a special education teacher, I would suggest that you be ready to discuss specific interventions as well. The teachers and the school will have the interventions that they are familiar with, and will, hopefully, suggest these for the best possible reasons. If you are informed about what interventions are proven to work for children in similar circumstances (age, intervention history, etc. ), you can help the whole team have a more meaningful discussion about what the next steps should be. Be sure that everyone at the meeting knows that a certificate is unacceptable. Then outline *exactly* what skills need to be mastered for your son to get a diploma, *exactly* how these skills will be assessed and *exactly* what the plan will be, across settings, to ensure that your son masters these skills in a time-frame he can live with. Get your son a GED. He is cognitively capable of independence.